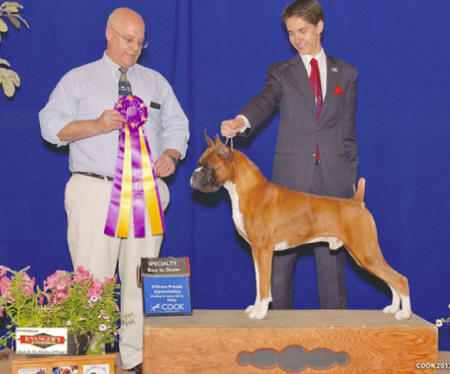 "The ideal Boxer as a medium-sized, square-built dog of good substance with a short back, strong limbs, and short, tight-fitting coat. His well-developed muscles are clean, hard, and appear smooth under taut skin. His movements denote energy. 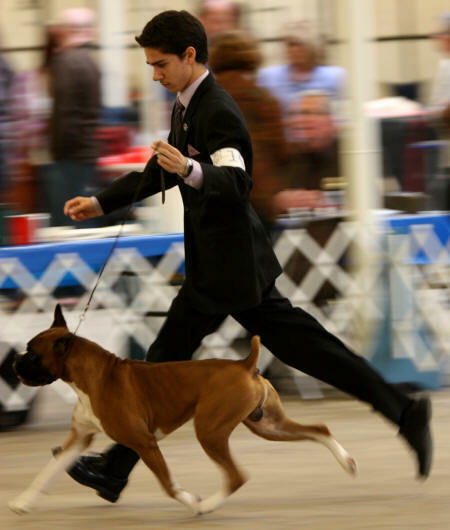 The gait is firm yet elastic; the stride free and ground-covering, the carriage proud. 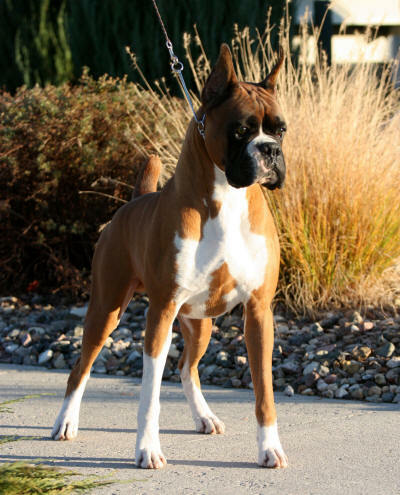 Developed to serve as guard, working, and companion dog, he combines strength and agility with elegance and style. His expression is alert and his temperament steadfast and tractable." 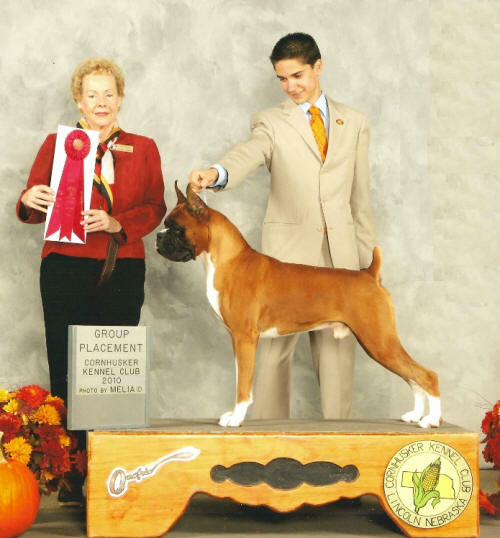 Jack excellently exemplifies the boxer breed type characteristics; from his impressive movement to his proud carriage and alert temperament. 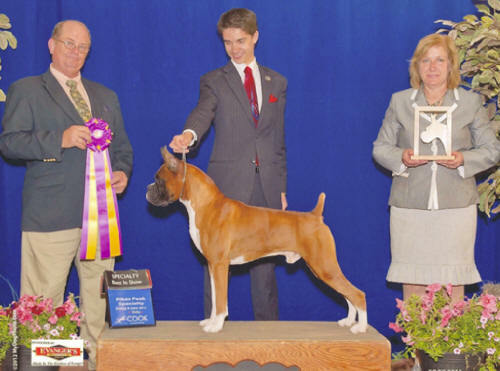 While he is a passionate show dog; he is an extremely dedicated companion to his owners and enjoys demonstrating his inherit attribute as a working dog. 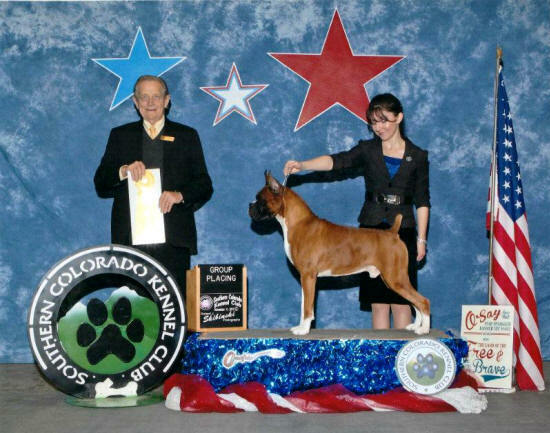 Jack has achieved multiple Best in Specialty Show wins, multiple group placements and has competed at the Eukanuba Invitational. Click here to see some of Jack's offspring - Porsche - Bentley.